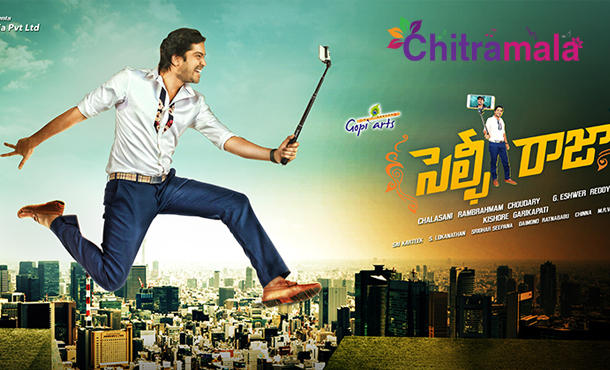 The first look of Allari Naresh’s next comic caper titled ‘Selfie Raja’ has been unveiled. The first look promises yet another entertainer from Naresh. The first look is released to commemorate the birth anniversary of Naresh’s father and legendary Tollywood director EVV Satyanarayana. Earlier, Naresh had shared a selfie with Vijay Mallya to promote the film. G Nageswara Reddy is the director of this movie produced on AK Entertainments and Gopi Arts banner. Naresh has been struggling for a solid hit since he scored his career best commercial hit ‘Sudigadu’. The actor has teamed up with successful director Nageswara Reddy to score a hit at least this time. Said to be an out and out comedy, the film is carrying positive buzz. Hope Naresh strikes back with this entertainer.